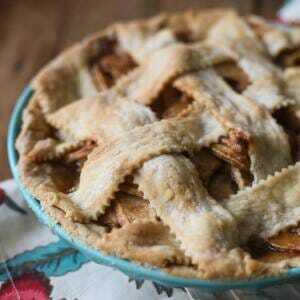 I love this classic apple pie recipe because it’s simple and timeless, something I imagine grandmas were making 150 years ago. Butter. Apples. Cinnamon. Sugar. Nutmeg. It just takes you back to a different place and time and a happy place at that. Let it cool down for as long as you can stand it and then cut a slice and add a scoop of vanilla ice cream. For dessert. Or Dinner. Or breakfast. No, I’m not joking. For this recipe, you’ll need a double pie crust (make your own or buy two crusts–making our own is so delicious and easier than you might think!) 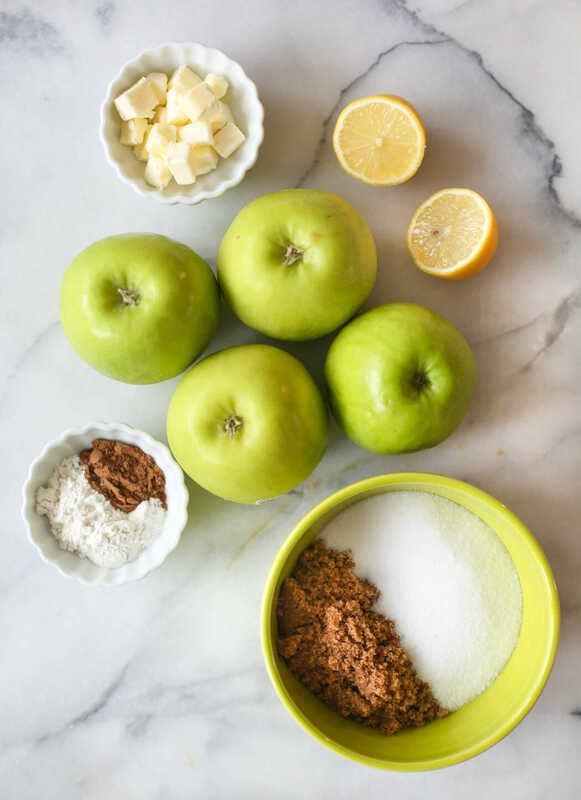 You’ll also need some cinnamon and nutmeg or apple (or pumpkin) pie spice, brown and white sugar, a little bit of flour, some butter, lemon juice, and about 1 1/2 pounds of tart baking apples (like Granny Smith). 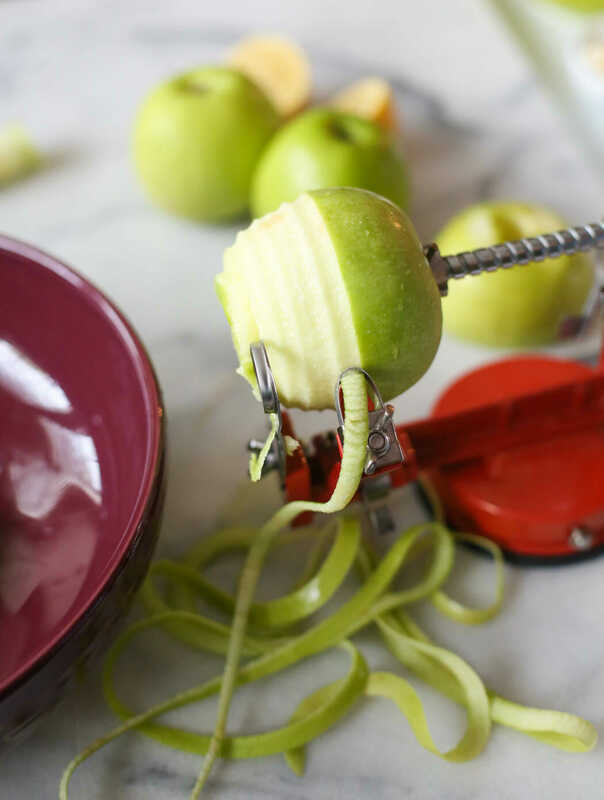 Now…if you’ve never used an Apple Peeler Corer (or similar product), your life is not complete, especially if you cook with apples a couple times a year. Heck, if you have one, you’ll look for excuses to cook with apples because it’s just so amazing. AMAZING. It peels. It cores. It slices. It can even be used on potatoes. It’s magic. If you’re making your own crust, roll half of the double crust to about a 1/8″ thickness. and run a sharp knife around the edge of the pie plate to trim the crust. Set aside. and toss them with lemon juice. Then whisk together your flour, brown sugar, white sugar, and spices. 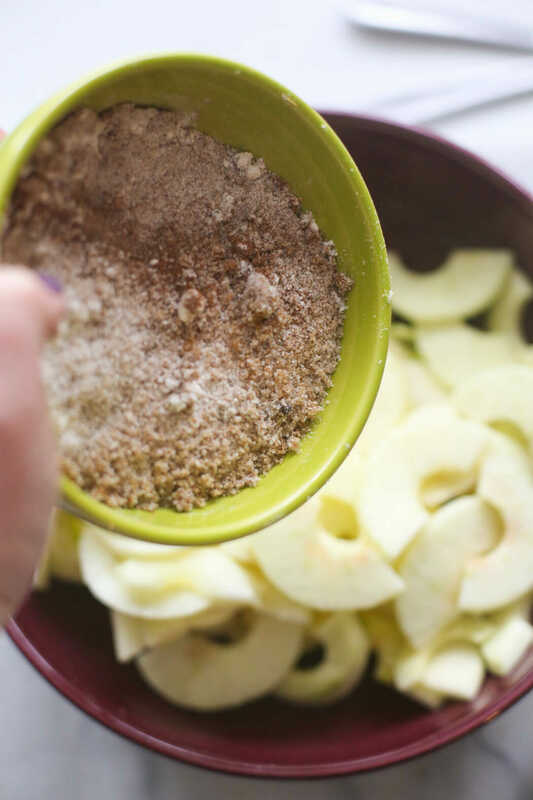 Toss the mixture together with the apples and pop them in the prepared pie crust. Dot top of apples with butter. If desired, brush the top of the crust with a little melted butter and sprinkle some sugar on top. Then pop it in the oven to bake. Make sure to keep an eye on it (especially if you’ve sprinkled with sugar) and place a piece of foil on top if it starts to brown too early. 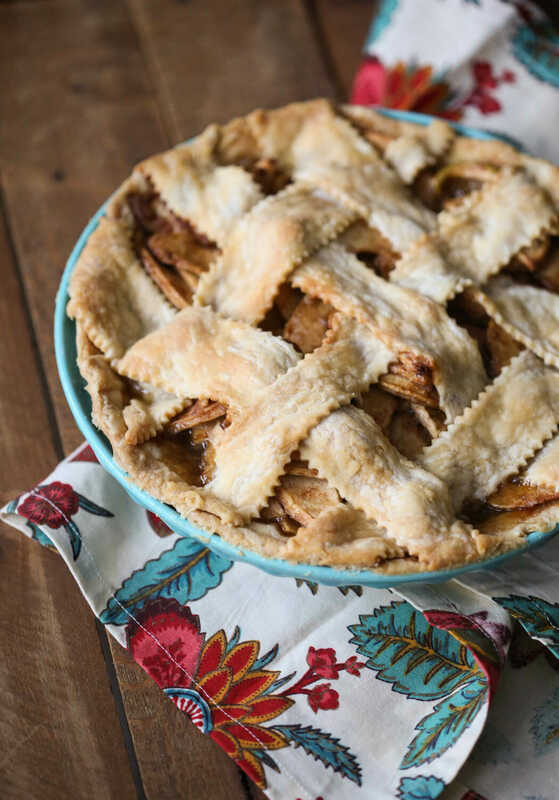 This classic apple pie is easier to make than you might think! This is definitely something everyone need to know how to make! 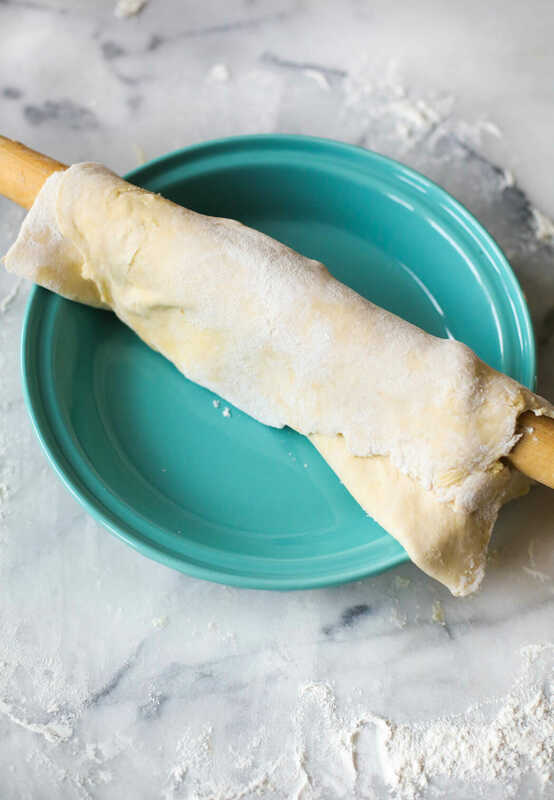 Roll half of the pastry to 1/8″ thickness on a surface that’s been sprayed with cooking spray. Gently place in a 9″ pieplate; set aside. Preheat your oven to 450. Combine lemon juice and apples in a large bowl. Combine white sugar, brown sugar, flour, and spices and mix well. Spoon over apple mixture, tossing gently. Spoon filling evenly into pastry shell and dot with chopped butter. 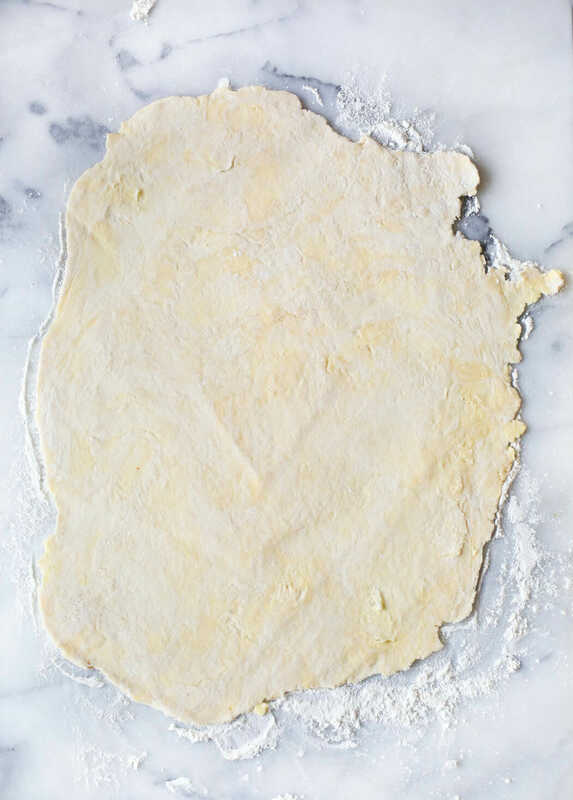 Roll remaining pie crust 1/8″ thick (check out our pie crust tutorial for ideas on how to top your crust, including instructions on how to make a lattice crust). When your top is how you want it, bake at 450 F for 15 minutes. Reduce heat to 350 and bake 50 minutes more. Definitely keep an eye on the pie; you may need to loosely cover the darker parts with aluminum foil if it starts getting too brown. If you get worried, go ahead and make a square of foil, cut a center out of the foil, and place it on the pie so the foil covers the edge of the pie. When done, remove from oven and allow to stand. The pie will be runny until it cools completely, but warm pie is never a wrong choice. Serve with ice cream or sweetened whipped cream. 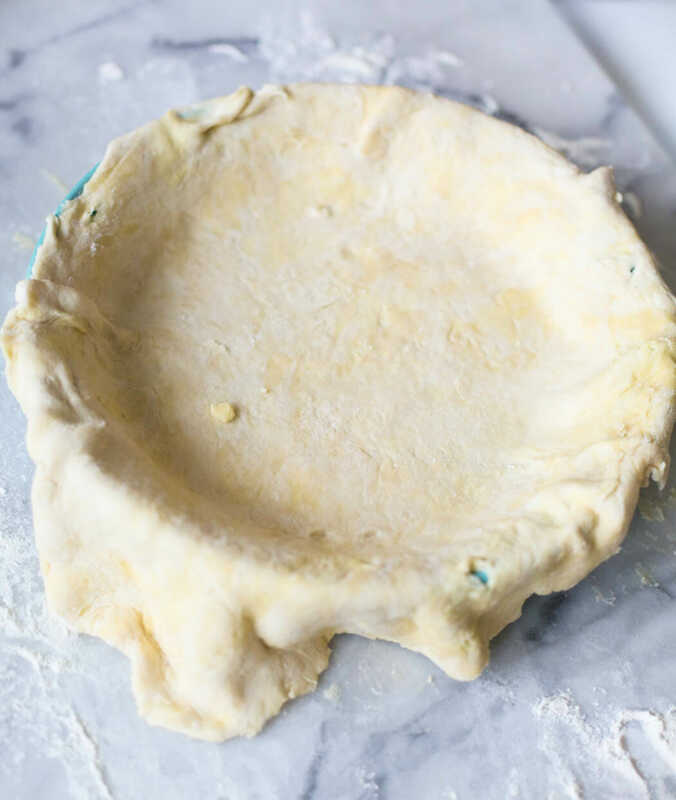 If you’ve missed the 5,300 links to the pie crust, click here to see our pie crust tutorial and get the recipe for a batch of pie crust! A few weeks ago Sara challenged me to bring a *milk-free* dessert, while my husband challenged her to Southwestern Burgers! I made apple pie, and we joked to see who could make **blog-worthy** food! I would have to say I won, since Sara’s grill crapped out on us and we ordered pizza!!! So me and my hubby just laughed when we saw my apple pie didn’t make it! HAHAHA! ***I know someone thought, “Who eats apple pie without ice cream!” I brought Sara a special container of dairy free ice cream. Apple pie is TOTALLY breakfast food. Mmm, I think I’ll make some tonight so I can have an excuse to eat the leftovers. Oh ya. Totally agree about apple pie being breakfast food. I also think it counts as one of your daily fruit servings. Kate, that looks deeeeelish! I love how delectable those apples look in the last pic. Yum. There is nothing else that needs to be said. Well Kate, you finally convinced me to dust the 5 years worth of dust off of my Apple peeler, corer, slicer that I got at my bridal shower and give it a whirl. I think I’ve just been intimidated by the seeming complexity of the machine… But tonight I will assemble and conquer! I’m a new reader of this blog, but I can already tell you that I love it! I made this apple pie recipe on Saturday night, and it was a huge hit. My husband’s exact words were…”Now this is how apple pie is supposed to taste!” Thanks so much for the clear explanations (and all the pictures). It makes it so much easier to attempt the recipes! I look forward to many more delicious meals thanks to the recipes on this site. This is the first apple pie I have made, and it was a LOVE. It turned out awesome. Awesome pie recipe, awesome crust recipe, I'm full from dessert :). Thx so much for the recipes!!! Do you recommend refrigerating this pie if you plan to serve it the day after baking it? Just made my first pie ever from this recipe including making the pie crust following your recipe for that too. I can’t believe how wonderful it turned out!! It looks just as pretty as the picture. My husband is going to LOVE it!! Thank you! Thank you for the recipe. My pie was delicious. i think it turned out pretty good for my first go @ making apple pie. so i mad emy pies and they were incredable!!!!!!!!!!!!! I can’t wait to try this recipe!! P.s. I love your pie pan where did u find it? Thanks Dawn! It’s Chantal brand, I buy their stuff at places like TJMaxx all the time and LOVE it! 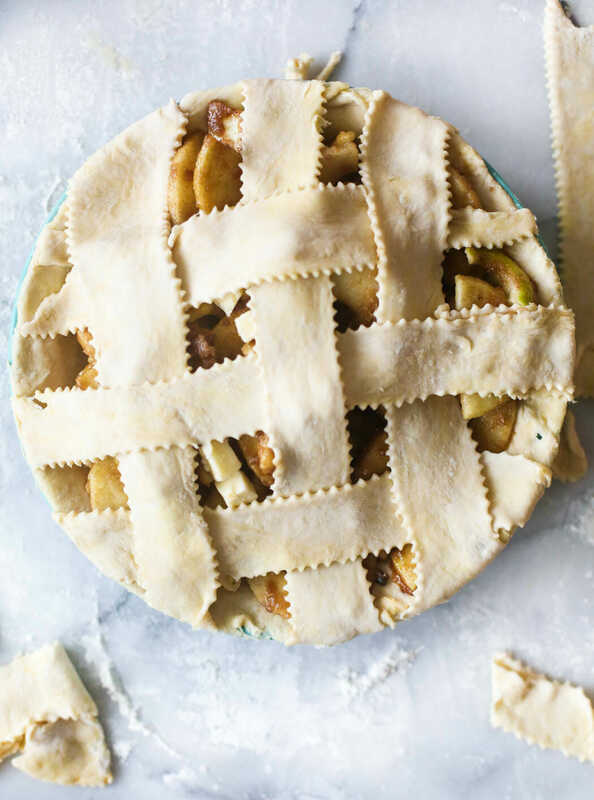 Is this the recipe you used for your pie pops (except grating the apple)? I was going to make the pie pops this weekend and I have never made apple pie from scratch and I don’t care for the canned filling. Not exactly, but very similar! 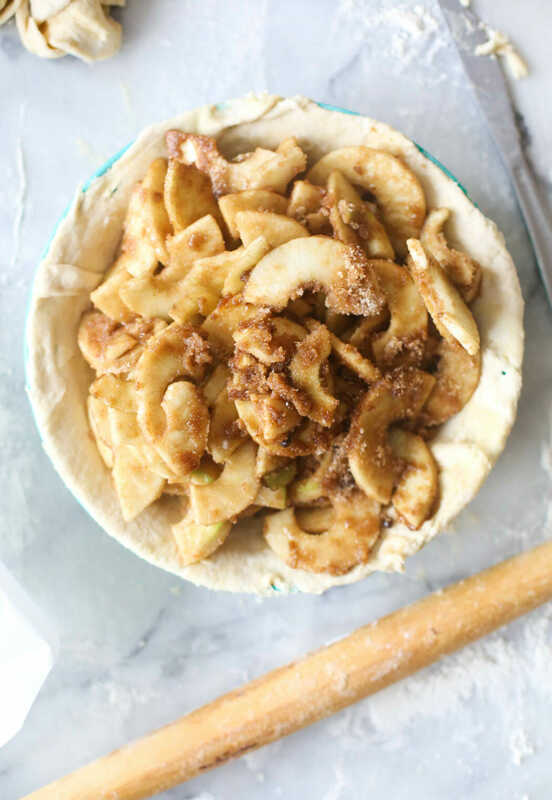 If you use canned or frozen apple pie filling, how do you adjust baking time? Thank you. I need to freeze the pie to take it out of town before Thanksgiving. I want to freeze it before it is baked. Should I let it thaw first or cook it frozen? If cooking frozen, how does this change the cooking time and temperature? I made this for Thanksgiving this year-my first pie EVER. I even made the lattice top from the tutorial in the book. It was such a hit!!! I was a little full of myself and took pictures and showed them to everyone who wasn’t privileged enough to make it to our Thanksgiving. I was just so proud of myself! Thanks for the help!